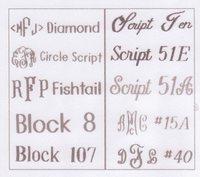 Style: Floral Butterfly on White Monogram: Name Personalization: Date Personalization: Font Type: Please Choose OnenoneFishtail MonogramCircle Script MonogramScript 40 MonogramScript 51A for Initials and Names Color: Please Choose OnenoneWhitePinkblueGreen Who is this item for? 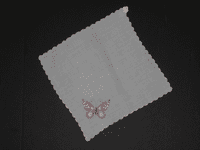 Dainty scalloped edged hankie with a delightful floral butterfly embroidered on one corner. 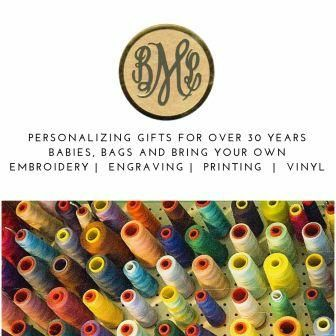 Personalize with a monogram OR use the personalization boxes for a name and date. DO NOT CHOOSE BOTH A MONOGRAM AND A NAME. Size 11 inch square. Cotton/Polyester Blend. Machine washable.